There are two women which are totally opposite. The Statute of Liberty represents freedom and allures peoples to this country to acquire the American dream. However, there is another woman which often destroys the citizens of this great Country. 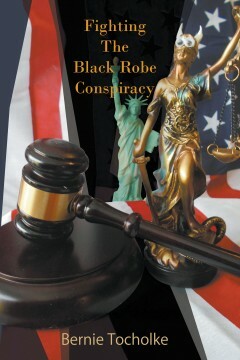 She is the Lady Justice who is a myth or an illusion of the promise of “Liberty and Justice for all”! What are you going to do when you realize that America has the best justice that money can buy, but you don’t have the money? What can you do when you are in a Family or Civil Court where you do not get a Public Defender? What if the judge runs out of the courtroom as you enter it for your hearing? When she is above the law, and all other authorities and superiors refuse to look at your case, what can you do then? There is a remedy but you will not win by playing a corrupt court’s game. It is a shame whenever the knowledge of how to succeed happens after the damage is done and thousands of dollars were squandered away. If you truly are innocent, and you are battling a corrupt conspiracy, you must fight with unethical tactics to win.